HEDPNa2 is an organophosphonic acid corrosion inhibitor, it can chelate with Fe, Cu, and Zn ions, it can dissolve the oxidized materials, it has good scale and corrosion inhibition effects even under 250°C, it is stable under high pH value, not easy to be hydrolyzed, not easy to be decomposed under normal light and heat condition, its acid/alkaline and chloride oxidation tolerance are better than that of other organophosph-onic acids. HEDPNa2 can form six-ring chelating compounds with metal ions in water system, Ca2+ in particular. HEDPNa2 has good scale inhibition effects and obvious dissolution threshold effects. When used with other Water Treatment Chemicals, the synergistic effects is better. 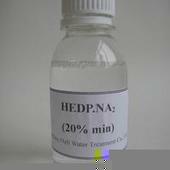 HEDPNa2 is widely used in circulating cool water system, medium and low pressure boiler, oil field water pipelines as scale and corrosion inhibitor in fields such as electric power, chemical industry, metallurgy, fertilizer, etc.. 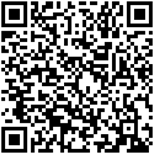 In light woven industry, HEDPNa2 is used as detergent for metal and nonmetal. In dyeing industry, HEDPNa2 is used as peroxide stabilizer and dye-fixing agent; In non-cyanide electroplating, HEDPNa2 is used as chelating agent. For liquid: Normally In 250kg net Plastic Drum, IBC drum can also be used as required. Storage for ten months in room shady and dry place. For solid: inner liner polyethylene (PE) bag, outer plastic woven bag, or confirmed by clients. Storage for ten months in room shady and dry place. .